These Kodiak Cutting Tools® four flute double-end solid carbide chamfer mills are available in a range of angles for a variety of chamfering applications. Chamfer mills do not come to a point. 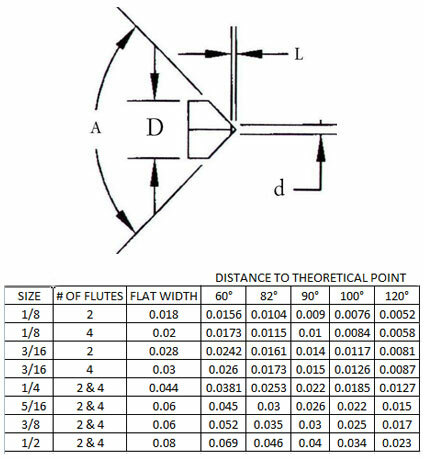 Please reference the chart below for chamfer mill dimensions.